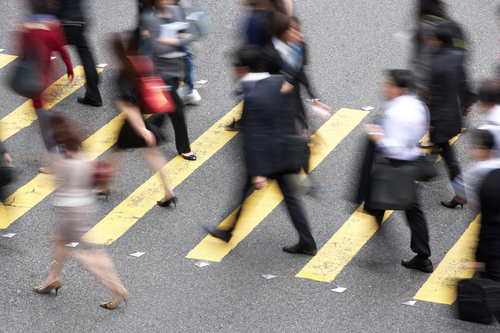 Crossing any street in America could increase your risk of severe injury or death. 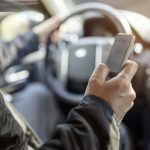 In March 2017, the Governors Highway Safety Association (GHSA) released a report showing 2016 as the deadliest year in two decades for pedestrians in the US. Preliminary statistics reveal that nearly 6000 pedestrians nationwide lost their lives that year in traffic accidents, which is an increase of more than 11% from the previous year. This number is surprising because traffic deaths decreased 18% during the same period. Safety and survivability on the nation’s roads, streets and highways have dramatically changed the landscape for drivers in America. However, this trend is not reflected in individuals outside the cars compared to passengers and drivers inside vehicles. In response, many large cities, including Chicago, New York City, and Los Angeles have turned their attention to increasing traffic law enforcement and redesigning streets and intersections to create a safer environment for drivers, motorcycles, bicyclists, and pedestrians. 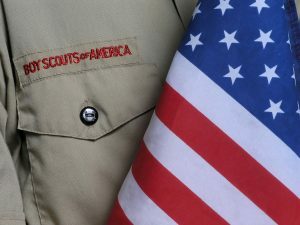 An Eagle Scout Project completed last month in Orland Park was dedicated to the safety of the many local pedestrians, bicyclists and motorists. The Life Scout, Joe Boyce took a page from similar initiatives around the world which have resulted in marked reductions in pedestrian accidents by making pedestrians more visible to those around them. 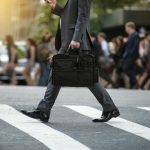 The Chicago pedestrian accident attorneys of Rosenfeld Injury Lawyers LLC work with numerous cases involving accidents where the driver didn’t see the pedestrian due to factors such as weather, distraction and lack of daylight. We are sure that this initiative is sure to save lives and believe that more communities should adopt similar programs. Every pedestrian accident is dangerous and most result in serious injuries or the death of the pedestrian where the motorist in the vehicle escapes unharmed. National statistics reveal that every year approximately 5000 individuals lose their lives in pedestrian accidents and more than 75,000 suffer serious injuries. 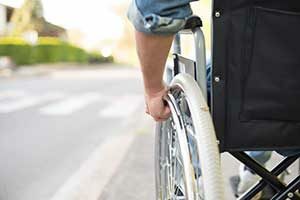 A new study revealed that wheelchair pedestrians are at greater risk for suffering catastrophic injuries or losing their life if involved in an accident with a motor vehicle. Most catastrophic wheelchair pedestrian/vehicle accidents occur in crosswalks or along stretches of roadways where no crosswalk is available. The study also revealed the remarkable fact that in nearly four out of every five vehicle accidents involving wheelchair pedestrians, the motorist took no action to avoid the collision. 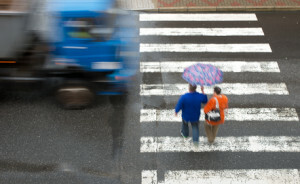 Many believe there are numerous factors involved in the disproportionate potential risk for wheelchair pedestrians compared to others traveling on foot and crossing roadways. One factor may be that it is often more difficult to notice an individual in a wheelchair because they are lower to the roadway or sidewalk. Another factor might be that when a crash occurs, the torso and head of the wheelchair user is more likely to be struck directly compared to a walking pedestrian being struck in the thighs and pelvis area. Finally, the increased risk of injury of a wheelchair user might be the result of their already compromised health making it more challenging to recover from serious trauma. Pedestrians can easily hear the sound of a large motorcycle or diesel chugging commercial truck when passing close by. However, the same cannot be said for hybrid and battery-powered vehicles that barely make a whisper when moving. The decades of designing electrical cars and hybrids in an effort to reduce inside and outside noise has resulted in nearly silent transportation with maximum comfort from minimal noise. 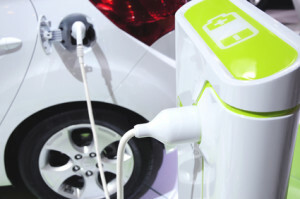 Many potential car buyers seek out electric vehicles because of their numerous features including minimal noise, low running costs, a quiet drivetrain and their ability to help the planet. Electric car owners have remarked that the absence of noise while traveling tends to reduce stress levels and makes the driving experience on busy urban streets and rural areas far more enjoyable. Though automakers have created an environmentally-responsible appealing package, many manufacturers are now realizing that the quietness of electric vehicles are posing new potential risks on the roadway. With dense neighborhoods, crowded downtown areas and busy historic districts, the Chicago Metropolitan area is a great place to walk to many destinations. However, the area is not without its pedestrian problems, where many individuals feel unsafe when crossing streets at crosswalks. Increased enforcement of many of the community’s traffic laws is essential for pedestrians, motorists and cyclists all sharing the road. Advocates for a safer Chicago Metropolitan area are calling for significant improvements in the community’s street designs, especially at intersections. In addition, the advocates are hoping for better enforcement of existing traffic laws to minimize the potential pedestrian accident-related injuries and deaths on city streets. Slimming four-way travel lanes down to three lanes is a diet every pedestrian and bicyclist can get behind. A road “diet” reconfiguration significantly increases pedestrian safety while adding beautiful landscape and wider sidewalks on many streets in the community. Redesigning the street can create bump outs to provide extra space, while significantly shortening the distance when a pedestrian crosses the street. 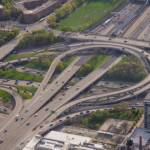 According to DOT Federal Highway Administration, changing traditional four-lane roadway configurations to three lanes is a significant improvement to public safety. The space accumulated by removing one lane can be reallocated for various other uses including street parking and/or pedestrian crossing islands and bike lanes. From downtown out to the suburban neighborhoods, the design of the Chicago Metropolitan zones makes it conducive to pedestrian activity throughout the area. Walking to destinations tends to strengthen the local economy, provides accessibility to the workplace, and makes neighborhoods safer. However, Chicago’s recent pedestrian crash analysis report indicates that accidents involving pedestrians continues to be a significant problem in northeast Illinois. 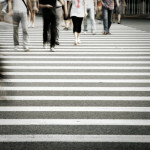 Fortunately, pedestrian-related crashes involving serious injury have decreased in recent years. However, this number still totals in the hundreds of serious injuries every year. Nearly half of all injuries and fatalities involving pedestrians have happened on arterial streets in the community, mostly on four-lane roadways. The Chicago Police Department (CPD), Chicago Department of Transportation (CDOT) and the City of Chicago are using the gathered information in the report to make significant changes to improve pedestrian safety. Steps taken in the past seem to be beneficial to the area from the neighborhood communities to the downtown business district.